So I am skiing this weekend with my family in Colorado and my uncle and dad were arguing over how many of the yolks to actually put in the bowl for scrambled eggs. And it’s no surprise, with all the misinformation out there surrounding cholesterol levels, so here I am to put the record straight! Be forewarned that this is a long post, but stick with it as it is full of useful information! Cholesterol itself is not a bad or evil thing. Cholesterol is a soft, waxy, fat-like substance that is produced by the liver and is found in most tissue. Certain types of cholesterol circulating in the bloodstream can accumulate in blood vessels, blocking normal blood flow, and leading to heart attack and other circulatory complications. The body needs some cholesterol in order to properly function. 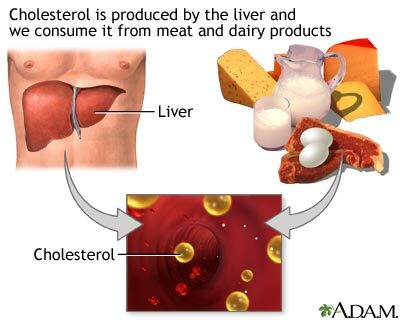 Cholesterol is used in a variety of important functions within the body Humans naturally create some cholesterol, but we also obtain it from animal by-products such as dairy, eggs, and meat. Only 25% of the cholesterol needed by our bodies is needed from food sources. The FDA recommends consuming no more than 300 mg/day. 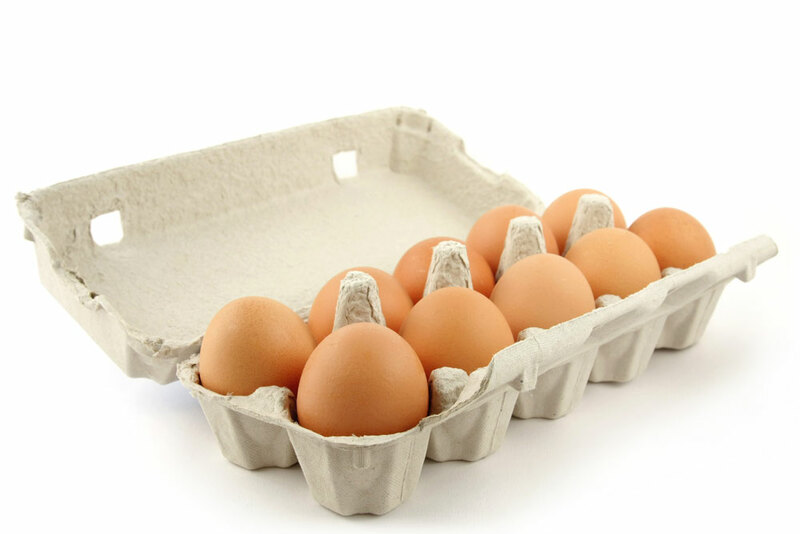 To put that into perspective for you, a whole egg has between 220 & 245 mg per egg. So clearly it does not take a lot to bump up against that daily maximum. While there is only one cholesterol there are three types of cholesterol complexes: HDL, LDL, and VLDL. I’m going to cover the two most talked about: HDL & LDL. Low density lipoproteins (LDL) is considered to be the “bad” cholesterol. LDLs are produced by the liver to transport fats from the liver to other tissues and organs in the body. It is important to keep LDL levels low, because high levels indicate that there is too much cholesterol in the bloodstream than the body knows what to do with or has uses for. High density lipoproteins (HDL) is known as the “good” cholesterol. HDL is produced by the liver to transport fats back to the liver from tissues and other organs for recycling and degeneration. HDLs carry LDLs out of the bloodstream reducing the chance of LDL sticking to blood vessels. High levels of HDL is a good indicator that there is less cholesterol in the bloodstream to attach to blood vessels and create plaque. AHA puts out guidelines regarding cholesterol profile recommendations. They are always revising their guidelines, but as of now they are as you see below. AHA recommends that all adults over the age of 20 have a fasting lipoprotein profile every 5 years. The blood test is done after 9-12 hours of fasting (no food, liquids or pills). It gives a whole view of your cholesterol profile. Total cholesterol levels should be less than 200 mg/dL. A person who has above 240 mg/dL has twice the chance of developing heart disease as someone whose cholesterol is normal. Having low HDL levels are indicative of higher risk for heart problems. A low HDL for men is <40 mg/dL and for women, it’s <50 mg/dL. High HDL is defined as >60 mg/dL and having high HDL means a lower risk of developing problems. Your goal for LDL levels should be under 100 mg/dL for people with heart disease or diabetes. For people of normal risk, your LDL levels should be between 100 and 129 mg/dL. Anything above 160 ml/dL is considered high and puts you at a higher risk for heart disease. Your triglyceride levels should be under 150 ml/dL in order to be in the normal range. Anything over 150 puts you at a higher risk for heart disease. So what happens to your body when you have too much cholesterol in your blood? Read on to find out! Cholesterol cannot dissolve in the bloodstream, so excess cholesterol leads to plaque build-up. Plaque is a thick, hard deposit on the arterial walls which leads to the hardening and narrowing of the arteries (also known as atherosclerosis). The same quantity of blood still has to be pushed through the now narrower artery. This places a lot of strain on your heart and can lead to heart failure among other issues. There are many diseases and complications that can arise due to hypercholesterolemia. Hypercholesterolemia is the medical term for thecondition of having a high level of cholesterol in the blood. Hyperlipidemia can also occur when you have a high level of fat in the bloodstream. When you have hypercholesterolemia, it can lead to atherosclerosis. Atherosclerosis is plaque build-up and the hardening of the arterial walls, which occurs when there is too much LDL in the blood, which can lead to fatty deposits on the arterial walls. If left unchecked, atherosclerosis eventually leads to the heart attack, stroke or even death. Coronary Heart Disease occurs when the vessels that supply the heart with blood begin to harden and become blocked with plaque. As the vessels fill with plaque, it leads to a slower rate at which the heart can receive blood and oxygen. When the vessels become completely blocked, it can lead to a heart attack or even death. Carotid Artery Disease is similar to coronary heart disease the only difference being that in Carotid Artery disease, the blood vessels that supply the brain become blocked leading to a stroke. Peripheral Artery Disease is similar to coronary and carotid as well, only the pelvis and leg arteries become blocked and it becomes extremely painful or even impossible to walk and be mobile. If left untreated, it can lead to the loss of limbs and/or gangrene. Hypertension (aka high blood pressure) occurs when plaque build-up causes the arteries to narrow and the heart has to work harder to push the same amount of blood through a smaller space leading to higher pressure on the arterial walls. Prolonged stress on the arterial walls causes immense and sometime irreversible damage to the walls. Hypertension can lead to heart failure due to the extreme amount of work the heart has to exert to pump blood through the body. So what can you do to limit your intake of cholesterol? If you want to have eggs for breakfast (which is a fantastic breakfast by the way!) I recommend having one whole egg per person eating the eggs and then only use 1-2 more egg whites (which have no cholesterol) to create a healthier breakfast. Make sure you also eat berries and other fruits with it! (just because it’s yummy!) Also watch how much animal proteins and by-products you consume. This includes dairy and meat (particularly red meat). Try to limit your intake of red meats to twice a week and choose the low-fat options of dairy products. If you’ve read any of my other blog entry you know exercise is the other point of the weight loss pyramid (the last being mental well-being). Exercise helps to keep your blood vessels supple and flexible. It may also help to reduce the amount of cholesterol in your blood stream. Shoot for at least 30 minutes a day most days of the week to help reduce your risk of heart disease. Cholesterol is not the enemy, but your choices can be. Yes, you need to watch your intake, but cholesterol does serve a purpose in your body. If you are young, healthy, don’t have a history of cholesterol, work out regularly, stick to a healthy diet, and don’t have a family history of hypercholesterolemia, atherosclerosis , or heart disease you don’t have to be obsessive over whether to have one egg yolk or two. As always, everything is okay in moderation. You guessed it. Today’s post is dedicated to protecting your ticker. Your heart is arguably the most important organ in your body. It beats approximately 100,000 times a day or 35 million times in a year. During your lifetime, your heart will beat more than 2.5 billion times. Find a tennis ball and give a good, hard squeeze. That is how much force your heart exerts every time it pumps blood out of the heart. Even when you’re lounging on the couch the muscles of your heart work harder than your leg muscles when you’re at a full sprint! Your body has an average of 5.6 liters of blood, which circulates the entire body 3 times in one minute. That means that your blood travels 12,000 miles in a single day! In one’s lifetime your heart will pump about 1 million barrels of blood! That will fill more than 3 super-tankers! That’s a lot of blood. So now that you know just how hard your heart works for you with every beat, let’s talk about how to protect it! There are six things you can do to help protect your ticker: nutrition, physical activity, weight management, stress management, fats & oils, and quit smoking! I’ll cover each of these 6 things in greater detail below. Proper nutrition is key. Those who follow my blog already know that I’m a big proponent of eating clean, whole foods. If you want to protect your health and your heart, the best thing you can do for it is to drop those processed foods and spend a little extra time in the kitchen. 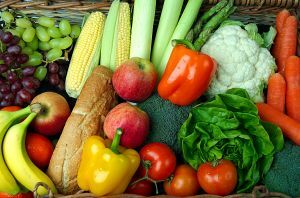 You want to get a well-balanced diet of whole grains, fruits, veggies, and protein from lean meats and lentils. Sodium contributes to high blood pressure, so watch your sodium intake as well. However, I wouldn’t put away the table salt and call it good. Most of Americans’ sodium intake actually comes from processed foods, frozen meals, and sodas (both diet and regular). I’d much rather people cook their own food and then salt to taste than pop a meal in the microwave for 5 minutes on high! This is pretty simple and straight forward: eat whole! When at the grocery store only buy from the outer loop and enter into the middle lanes only to grab whole staples like whole wheat flour, lentils, etc. If you haven’t already noticed, next time you go in please note that all the whole and fresh foods line the outside of the store, while the crap is in the middle. Avoid the crap!! And please, don’t ever go food shopping while hungry. You’ll come home with 10 bags of fritos and a pepsi you hadn’t planned on! 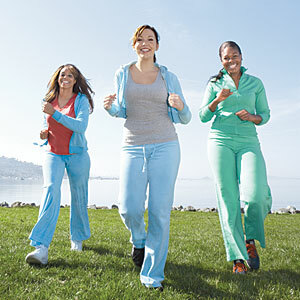 After eating right, the next best thing you can do for your heart is to take it on a walk. No literally, go for a walk! It doesn’t take much exercise to lower your risk of heart disease. The American Heart Association recommends just 30 minutes a day on most days to help reduce your risk of heart disease. And we’re not talking about marathon training here either people, it’s something as simple as taking a brisk walk with the girls to catch up instead of your usual weekly lunch date. The point is to get your heart working a little harder than when your sitting at your desk the other 10 hours of the day. Little changes in your life will translate into huge impacts in both your heart and quality of life. Get off the couch! I cannot stress this enough. Just get some exercise and you’ll not only feel better, have more energy, but you’ll be taking steps to protect your heart. If you like to see actual numbers of your activity, consider investing in a simple pedometer. Aim for 10,000 steps a day! If you’re feeling you want more, consider new devices out there today like Jawbone’s UP (returning to the market soon), FitBit, Nike’s FuelBand, and Striiv to name a few. These great devices sync to a cloud profile where you can track your progress over the months, as well as compete with friends. This shouldn’t be new news to anybody, but being overweight or obese leads to many health problems, not the least of which is heart disease. 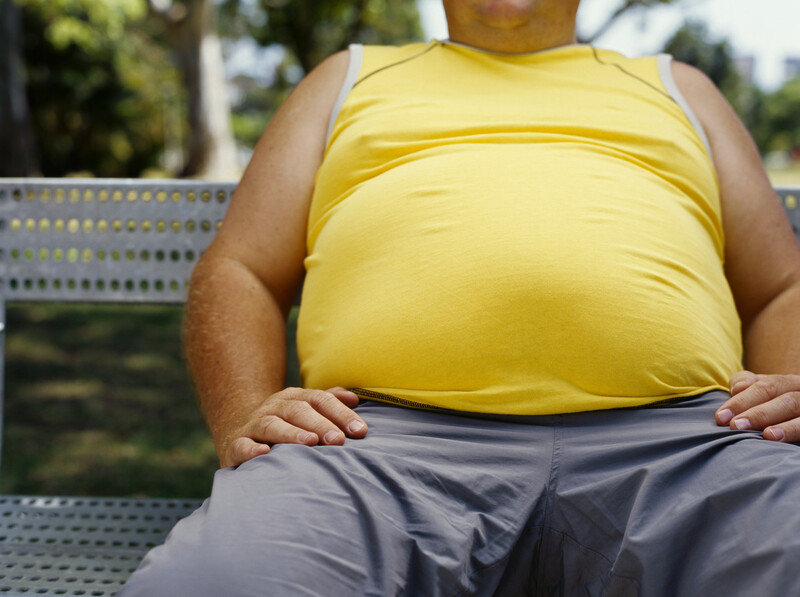 The more overweight you are, the higher your risk of developing heart disease. Get your weight under control! Enlist the help of friends and family to achieve your goals. Encourage your friends and family to join you in your journey! There is strength in numbers. 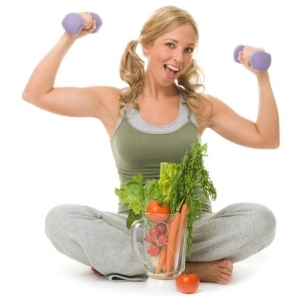 Weight loss and management are keys to a long and healthy life. When you stress out your body goes into fight or flight. Your body is preparing for an attack and it cannot distinguish emotional/mental stress from physical, about to be attacked by a lion, stress. Your body goes into hyperdrive and your heart starts to beat harder in order to prep your body to fight. It also causes your blood pressure to rise. Now this response to stress is normal and good, it allows our bodies to react to dangers, but when our bodies are always in this “fight or flight” mode it puts a lot of stress (no pun intended) on our bodies. Prolonged stress can become a danger to your heart, especially if you have other risk factors for heart disease. Read more about stress in my post about it here. Take a chill pill! Decide if the situation really warrants you freaking out and if the answer is no, take a few deep breaths. Find outlets to de-stress such as yoga, writing in a journal, or listening to soothing music. Find what works for you and do it consistently. Whatever the issue, I’m pretty sure the world is not going to end and is it really worth your heart? Getting the proper amount of fats and the right kinds of fats is crucial to helping your ticker beat at its best. Read more about it on my post here. Watch your intake of fats regardless of type, especially if you have other conditions that warrant it. But on the other hand, make sure you do get enough of the good kinds of fats to help protect your heart. Steer clear of trans fats at all costs and use saturated fats on occasion (aka keep the red meat to once or twice a week). Smoking is bad all the way around, but it’s really hard on your heart. It leads to the constriction of you blood vessels and that in turn means your heart has to work harder to pump the same amount of blood through your vessels. Smoking leads to not only cancer, but heart disease, hypertension, and ultimately death. Just quit! Enough said. There are lots of tools and support groups out there these days to help you. 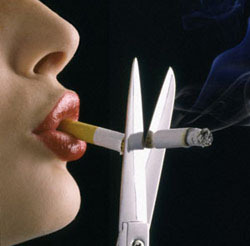 Most insurance companies also cover smoking cessation, so make sure you ask about it. If you’ve already quit, good for you and keep it up! You’re making yourself and the people around you healthier by your decision to quit. Just a quick note of children. Unfortunately, many children are now facing adult disease like diabetes type 2 and heart disease because of the childhood obesity epidemic facing this country. If you have a child who is overweight or obese (or even if they’re not), encourage them to get outside and play (NFL has a great program called Play60). Better yet, play with them! Not only will it make both you healthier, but it will bring you closer together. You are responsible for what they eat. Feed healthy meals at home and teach them about making responsible choices when they’re away from home. If you show them that good food is yummy food you’ll be setting them up for a healthier life. Please remember that you should never tell a child that they’re fat or demean a child, especially since I believe that most parents are 100% responsible for their child’s condition. It is your responsibility as a parent to protect them and to nurture their self esteem. Make healthy fun! February is American Heart Month, but this shouldn’t be the only month you are conscious of your heart or the dangers you could be putting it into. These are lifestyle choices that you need to, no, that you have to make. Healthy living is so much more than fitting into that LBD (for all the men, that stands for “little black dress”), it’s about knowing that what you’re doing today will allow you to have a hundred healthy tomorrows. 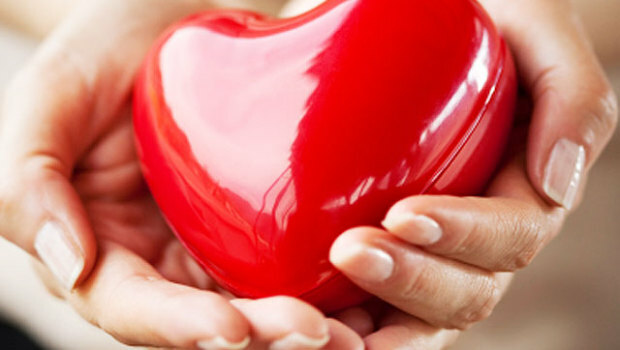 If you want to donate to the American Heart Association, a great organization dedicated to protecting our hearts, please click here.